The last week in MLB was about a starting pitcher in the National League signing an extension and making history on Opening Day, a reliever will have to undergo Tommy John surgery, and a shortstop suffers an injury during rehab. The New York Mets have locked up the ace of their rotation for the next several years. The team has signed starting pitcher Jacob deGrom to a five-year, $137.5 million contract extension, per Joel Sherman of The New York Post. 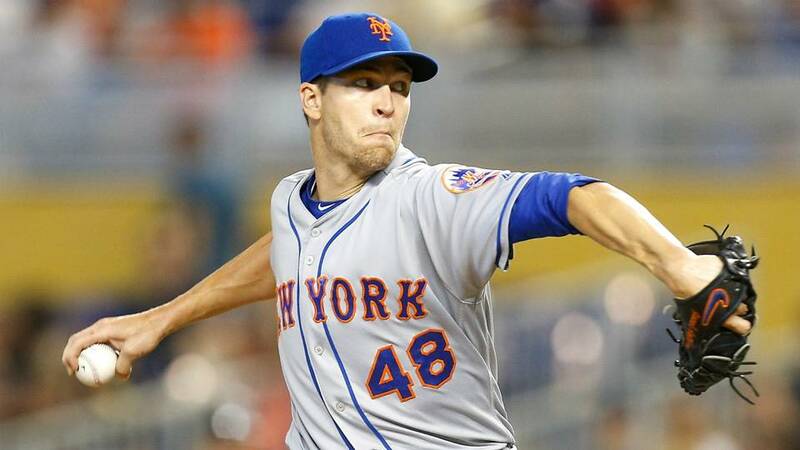 DeGrom Guaranteed $137.5M over 5 years (2019-2023), total guarantee ties the #Mets record for a pitcher. Club option 2024. The contract includes a full no-trade clause, an opt-out after the 2022 season and a $32.5 million team option for 2024. He also receives a $10 million signing bonus in 2019. The total value of the deal will increase to $170 million over six years if the team option for 2024 is exercised. This is an excellent deal for deGrom as he receives a long-term deal after having a phenomenal 2018 season in which he won the National League Cy Young Award. However, this deal isn’t great for the Mets as they still had deGrom under club control for two more seasons before inking this deal. If deGrom were to suffer an injury to his elbow or shoulder this season, it would make the Mets look foolish for giving him a long-term deal before it was required. The only positive with the extension is if deGrom wins another Cy Young Award, the Mets will have saved money. deGrom was outstanding in his Opening Day start against the Washington Nationals as he tossed six shutout innings, struck out 10 batters and made history. Going back to last season, this was the 30th consecutive start that deGrom yielded three runs or fewer – a new record for the longest such streak in Major League history. It’s fantastic that deGrom received an extension, and, hopefully for the Mets he stays healthy. The Milwaukee Brewers will be without a critical reliever from last season as Corey Knebel mentioned a couple of days ago, he will have Tommy John surgery on his right elbow, per Tom Haudricourt of the Milwaukee Journal Sentinel. The weird aspect is Knebel said there was discomfort five years ago and it got worse. The fact he was still able to pitch with the pain in his elbow is remarkable. Knebel will be out for the rest of the 2019 season but might be ready for the start of the 2020 season, says Haudricourt. If all goes well with Knebel’s surgery he could be ready or close to ready for start of 2020 season. That’s why he doesn’t want to wait. The loss of Knebel is significant as he’s saved 57 games for the Brewers over the past two seasons and was named as an All-Star in 2017. However, the Brewers are equipped to handle the injury to Knebel because of Josh Hader. Hader was outstanding for the club last year, posting a 2.43 ERA in 55 games (81 1/3 innings pitched) with 143 strikeouts, 30 walks issued and just nine home runs surrendered. The Brewers are still talking with free-agent reliever Craig Kimbrel, so it’s possible they can replace Knebel with Kimbrel. Knebel being sidelined for the 2019 campaign hurts, but the Brewers can deal with this injury. The Cleveland Indians will have to wait longer for shortstop Francisco Lindor to make his season debut. Lindor suffered an acute ankle sprain while running the bases during a minor-league game last week, per a team announcement. Hanley Ramirez has been informed that he will make the team’s 25-man #OpeningDay roster. Additionally, Francisco Lindor sustained an acute ankle sprain while base-running during a minor league game yesterday. Lindor received an MRI and the recovery time has yet to be determined. The scan showed a mild-to-moderate sprain of his left ankle, per Paul Hoynes of Cleveland.com. MRI shows mild to moderate sprain of left ankle for Lindor. Possible return unknown. Still rehabbing from strained right calf. Injured in rundown between first and second base. Lindor was rehabbing a right calf strain that occurred in early February, and the Indians were optimistic he could return in early April with the calf injury. The ankle injury will force Lindor to remain sidelined, but a silver lining for the Indians is they play in a weak American League Central division, and can let Lindor get fully healthy before re-joining the team.